Sony just seems to have been out of luck. After its recent month long Play Station knock out the company’s Greece music site has been attacked. A report on this attack came out today from the security firm Sophos which said that the site was a victim of a simple SQL injection attack allowing hackers access to data including usernames, passwords and also their real names and email addresses. The hackers also uploaded their data on Pastebin.com. 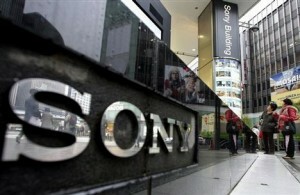 Sony also had an attack on its Thailand site which redirected users to a phishing site. It is clear that not just hackers want to aggressively target Sony but also brings out how badly Sony’s systems were built. The security firm Sophos says that it will cost much less for Sony to fix its loop holes rather than do a major overhaul as a quick fix. Sony recommended that users change their passwords as soon as possible following this latest hack. PS3 Hacked into, Root Key is Out! Could your car’s computer be hacked? Previous FoxConn iPad 2 Manufacturing Plant Explodes! Next Twitter buys Tweetdeck for $40 Million!